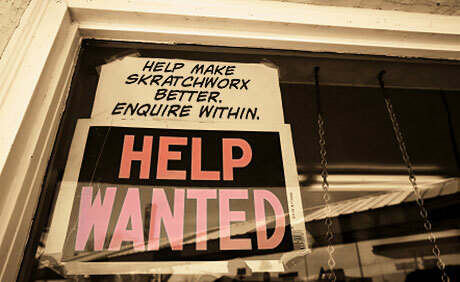 Time for a quick update on the quest to find new blood for the skratchworx team. As you might expect, the response was ridiculously strong, with a wide and varied range of responses from all corners of the planet, and importantly genres of DJs. Over the last couple of days, I've sifted teacher style through the short assignments I set - only a 50% response rate, which has helped my hack a great chunk of people from the list, and now have a short list of around 15 potential skratchworkers. UPDATE: All applications have been read, sorted and answered. If you sent in an assignment, you should have got a yes or no this week. If you sent submissions in but haven't heard back, mail me. JohnBeez is a clever chap. Being a strong and tireless proponent of Vestax's Controller One MIDI turntable combo, his mind clearly went off on a related tangent and set about making his flight of fancy into a reality. The result is a Vestax PMC06, where the whole crossfader is mounted on a rail mechanism which itself is a MIDI pitch fader. Genius. An often neglected part of our audio setup is the output. Many DJs will spend large sums of cash on the gear they actually fondle and manipulate, just to have the whole thing let down by the quite dodgy 3rd rate home hifi system they use for output. That's where studio monitors come in. My eyes were certainly very widely opened when I took delivery of a pair of KRK Rokit based Stanton ATM.6s, so I'm quite passionate to ensure that you guys get the best experience you can from the back end of your system. 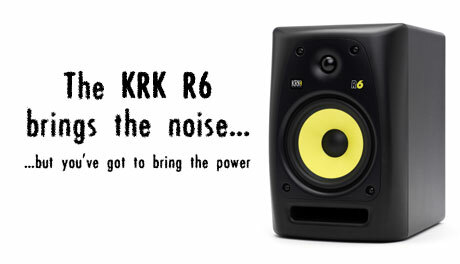 KRK brought out a revised Rokit active monitor range a little while ago, but now they've got a passive version - the KRK R6 - for you as well. Cast your mind back a few months to a video of a rather droll Yorkshireman (hey Staffa! ) proudly showing off his discovery that Traktor was running quite contentedly on Allen & Heath's Xone:4D MIDI monster. 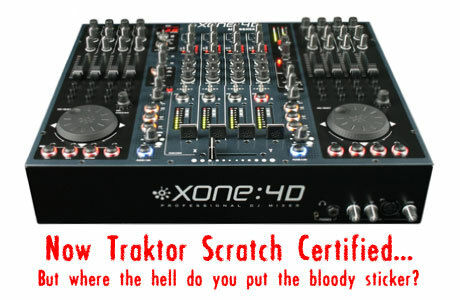 Well the I's have been dotted and the T's crossed on the official NI paperwork, meaning that it is now officially Traktor certified. While Deft pours heart, soul and takeaway delivery services into his upcoming Traktor Scratch Pro review, Native Instruments have unveiled their not at all inconsiderable v1.1 release of their Traktor Pro family. Normally after a point release, this would be a maintenance thing to squish bugs, but NI have pulled a few rabbits out of their hats here with a new vinyl mode, support for hi res MIDI and a super duper timestretching mode. They also used the word "leverage" in a press release. Just don't do it again. Being a jaded grumpy old man, there's not much that stops me dead in my tracks and leaves me giggling like a schoolboy, especially given my feelings about the iPhone as a viable music maker. TechnoBox has pretty much sealed the retirement of my SE P1i and hello to iPhone. For many people reading this, the very sight of the logo above will throw their minds back to the very beginnings of Hip Hop in the UK - a time when Planet Rock and Hashim pumping out of ghetto blasters terrorised town centres on Saturday mornings. Flooring retailers emptied their showrooms of lino offcuts and the Disco Mix Club started to broadcast the new Electro and Hip Hop hotness from the North Sea. 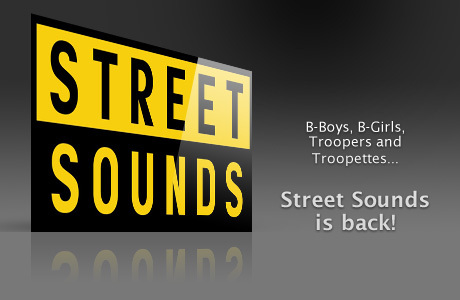 At the forefront of this scene was the mighty Street Sounds, headed up by Morgan Khan, who fed our burgeoning addiction to these newly imported fresh beats. But warming the cockles of this old man's heart is the news that Street Sounds is back. Trying to squeeze huge and complex tasks into impossibly small boxes seems to the goal of mobile phone makers. But putting 2 decks, a mixer and several large crates of records into the palm of your hand is proving a tougher nut to crack than previously thought. LG tried and radically failed with their U400 model. 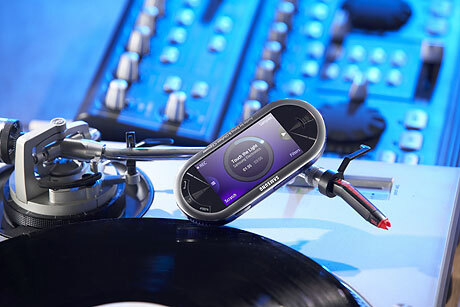 But now Samsung have announced a range of touchy feely music specific handsets - the "BEAT Edition" range, and the BEATDJ in particular tries to offer a DJ like experience. I'm not holding my breath. Hybrid decks are (or were) a strange beast. When CDs first started to gain acceptance in the DJ scene, murmurs could be heard in certain corners theorising about the possibility of a turntable that played vinyl and CD. Murmurs became rumblings, which in turn became shouts. "WE WANT HYBRID DECKS DAMMIT!" was the cry from the scene. Manufacturers duly obliged, thinking that their particular offerings would clean up and see them sitting on piles of cash. Sadly, the only piles they were sitting on were unsold hybrid decks. 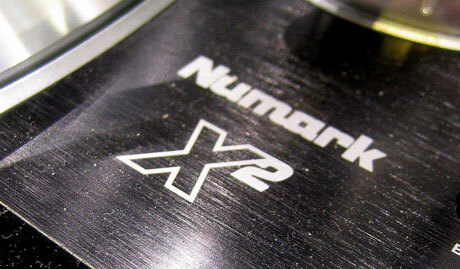 Numark's X� was one such deck - it did exactly what the scene allegedly wanted, but found no favour from the marketplace. It came and went, but DJ Pegasus bought a pair and decided to share his thoughts with us. And we thank him for his hard work. DJs used to happy with just mixers and turntables. Now laptops, controllers and soundcards have all become standard fodder to be lugged around. But software developers are slowly making apps that run quite happily on iPhones and iPod Touches that give the beginnings of a DJ experience in the palm of your hand. Touch Mix gives you the basics of mixing 2 tracks, a smidgeon of scratching and a handful of effects too. And to sweeten the already sickly sweet �1.79 deal, you also get 10 tracks from the �ber trendy Deadmau5. While I'd love to spend my entire day posting feel good stories and pictures of fluffy kittens using MIDI controllers, the credit crunch has the unfortunate side effect of having to post bad news on a growing basis. 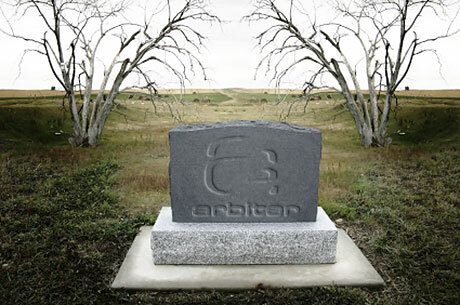 One sad casualty of the global recession is Arbiter Group UK - hugely respected distributor of all kinds of music brands, including Native instruments, who have issued a statement about servicing UK customers. When the Pro X Fade came out, they enlisted the help of Chris Cairns of Partizan and 2Tall's arms to make the hugely successful and award winning viral ad above. Well your help is needed in shooting another one, and all you need to do is don your logo free dancing clobber and you could be starring in the next Youtube sensation. 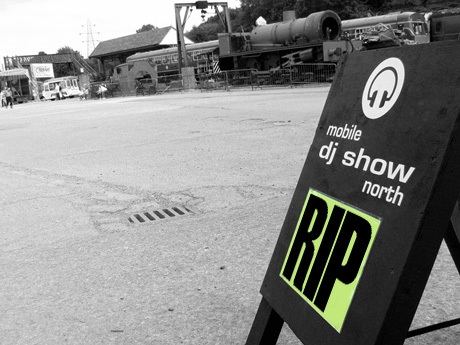 As I inch towards some semblance of being organised, I've been checking out my itinerary for the year and just discovered that the UK based DJ Show North is no more. Just 4 years old and off to trade show heavy already - such a shame. DJDecks lurches ever forward towards the milestone v1 release. But with the regular release schedule, I figured it was time to bust out a version counter for it, and in fact any other software version release. I might even make an animated one when I have time. V0.9.2 adds support for the Xone:2D and the Denon DN-HS5500 as well as a handful of improvements and fixes. While the whole DJ world seems happy to churn out me too CD decks for the cost conscious consumer (i.e. 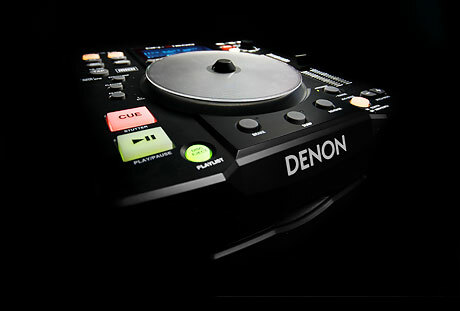 rebadged OEM models), Denon like to do things in their own unique way. The diminutive block of player that is the DN-S1000 impressed Deft well enough, but now I've had a go on the new and updated slab. The DN-S1200 takes the small format and shoehorns a wealth of USB and MIDI goodness inside. Sitting as I do in my in my secret underground lair, cut off from the world and people in general, I manage to miss the trappings of employment - bad coffee, incorrectly recycled catchphrase comedy from the night before - and sponsorship forms. But when this particular appeal from Phase One DJ for sponsorship hit my inbox, I happily obliged and was reminded of how lucky I was to be free from headache inducing sludge from the vending machine. My praise of the BPM Show is well known. Having taken over from PLASA as the biggest DJ focussed event in the UK almost overnight, it continues to grow to the point of needing a new home. The National Exhibition Centre in Birmingham will now welcome gear geeks through it's well trodden doors during the first weekend of October, and hopefully many more than before considering that you can step off a plane or train and be at the show. 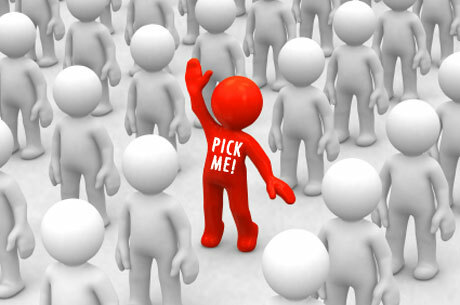 While it's easy to spend your entire day webgrazing the various social notworking sites in search of something witty, intelligent or wtf, I limit myself to Facebook, if only because it is generally real people with real names who I've actually met in some capacity. But Twitter has piqued my interest, and skratchworx is now Twittering, but there is a really good reason for it. Algoriddim's Mac only djay app just isn't happy simply playing music to the assembled crowd - it now wants to be heard across the world. And now with an injection of Nicecast, that's exactly what djay does. Suddenly it's not just a crowd rocker, but an airwave rocker as well. And despite its software foundation, the DJing metaphor is enhanced with more in the way of hardware emulating features. Rounding up the Ecler NUOX.0 series is the biggest sibling in the range - the NUO4.0. 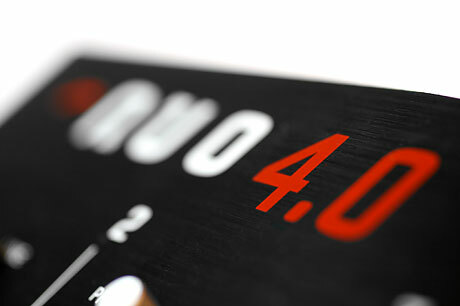 The original NUO4 was one of the first mixers on the market with MIDI built in, but now that that they have the new daddy EVO range, MIDI has been removed. Ouch I hear you cry, but for me, it makes the NUO4.0 a better mixer. I recently read a simple but profound piece of advice. It said that if you wanted to reach something, it's OK to stand on a box. And I most certainly need to follow that advice if I'm reach my goals. And you dear readers could well be the box I stand on. Translating this into non-Gizmo speak - I'm looking to partner up with people to take skratchworx to the next level.